Hee… yeah, because I have a public. =) Seriously, you guys crack me up. Anyway, nothing much going on here (No, Cristi, seriously), but I do have a couple of pictures to show. Also, I’ve gotten two more sets of stitch markers from the swap. The orange ones came all the way from Egeria in Ireland. There was a bar of Cadbury’s Dairy Milk chocolate with them, but, um, I must have misplaced it. =) The fishy ones are from Batty. They came with a note that said “So Long, and Thanks for All the Fish,” which completely cracked me up. Thank you both – I love them! Other than that, I’m making some progress on the Christmas gifts, and I’m being good about not “cheating” and casting on anything for myself. ETA – For those of you unfamiliar with Douglas Adams and the Hitchhiker’s Guide to the Galaxy books, my screen name is a reference to a character, and the 4th book is titled “So Long, and Thanks for All the Fish”. Hence the markers from dear Batty. 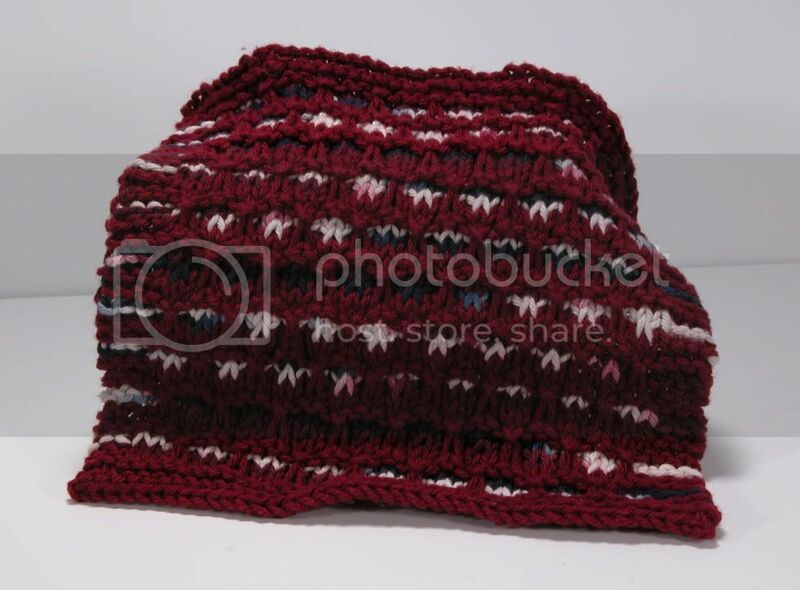 August 28th, 2006 | Tags: FOs, KALs, Knitting, Swap | Category: Misc. Your banner is goregous! Absoltuely gorgeous! Wonderful colors in the dishcloth! I like the markers! Fish are fun! Did you send batty fish? I missed something. 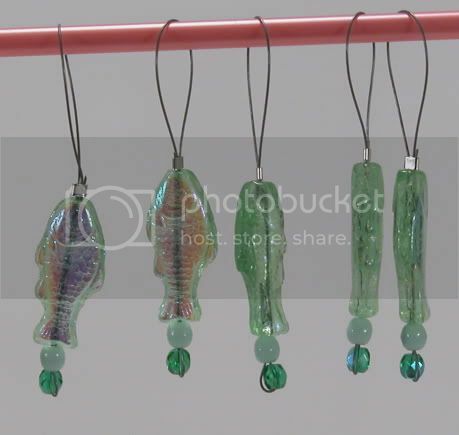 LOVE all the stitch markers, and the dishcloth … but you know my personal preference for the fish! Now, if I could only find some moose markers …. WHAT? 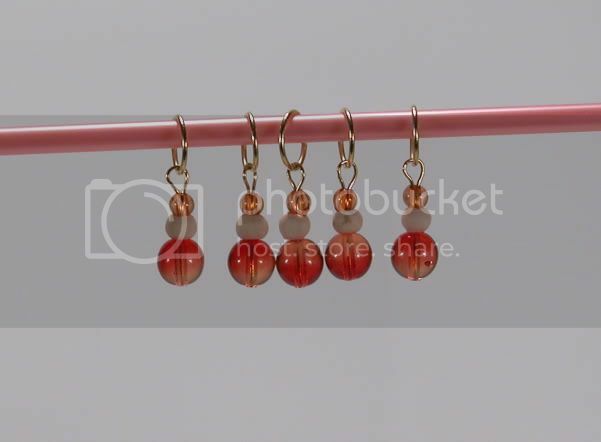 Where are the tiny shrunken head stitch markers I sent you? FINE. I see how it is. Ha-RUMPH. Absolutely love the fish. I especially like how the loop is formed – different than stitch markers I’ve encountered. It looks like it will slide very smoothly and make fore effortless marking and knitting. Oh those fish are too cool. I got my stitchmarkers from Batty yesterday too. The way she does them is so cool! And yay! I sucked another one into dishcloths! What lovely stitch markers from both of them. I love the colour of the dishcloth. i. am. so. slow! i didn’t catch the hitchhiker’s ref at all, which is weird, because i’m a big fan. great screen name. i turned 42 this year, and that was the theme of my party.